A Masters Graduate of Naval Architecture from the University of California at Berkeley, Andrew has been an acknowledged worldwide leader in technical yacht design for the past 20 years. Over these years his skills have been honed with his involvement in 5 America’s Cups; serving as Designer of Record on 3 challenges. 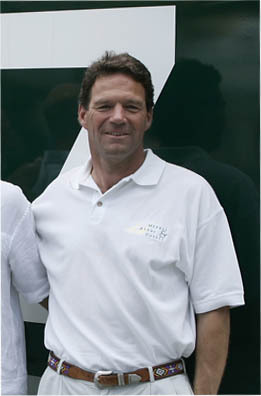 Andrew moved to Australia in 1989, drafted by Alan Bond to bring tank testing technology to Australia. Andrew’s role is Principal Naval Architect.